If you're going to spend a day watching football and perhaps even indulging in the odd beer or ten, it's advisable that you line your belly with a bit of food so things don't get out of hand. But what to eat? Here in North America, most of us generally rely on typical fast food like burgers, pizza or wings to get us through a match day, but some of us will get a bit adventurous and opt for a tasty shawarma to fill the gap. Speaking of shawarma, some football fans will use a day out away from their significant other as an opportunity to overindulge in not just booze and bad language, but also food. One of my Toronto FC supporting friends once had a large pre-match steak dinner at the pub, then popped next door to Alexandria Shawarma for a large special and when I later caught up to him in the ground he was in line for pizza. Three massive meals in less than an hour, wonderful stuff really. But what are match day foods like in other countries? What fuels our football supporting brothers and sisters the world over, because a fiery passion for your club and a gut full of beer has often led to dicey results on an empty stomach. 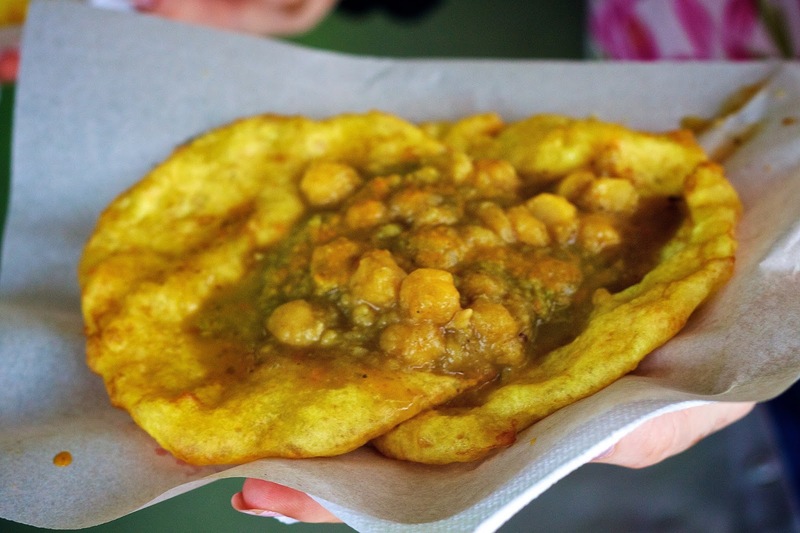 In Trinidad and Tobago the pre-match snack of choice is by most accounts are "Doubles", which consists of peppered chickpeas, coconut, cucumber and spicy chutney enveloped between two pieces of deep-fried flat bread. Sounds nicer than the filthy boiled hotdog I enjoyed on Saturday. 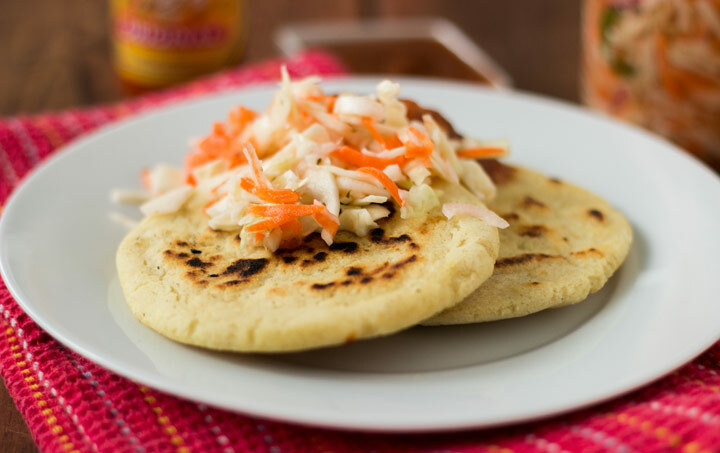 The lazy and perhaps most accurate thing to list as a pre-match meal for Salvadoran football fans would be the "Pupusa", but I think that's cheating as most people from El Salvador I know don't need any excuse or event to tuck into the country's beloved food of choice. A pupusa is a thick, handmade corn tortilla that is typically filled with a blend of cheese, seasoned and ground pork meat called chicharrón, and refried beans. Another popular snack in and around football grounds in El Salvador, and one that I've had the pleasure of enjoying myself at a match there, is Yuca Frita with hot sauce. It's basically fried cassava chips. They go great with beer, but what doesn't? 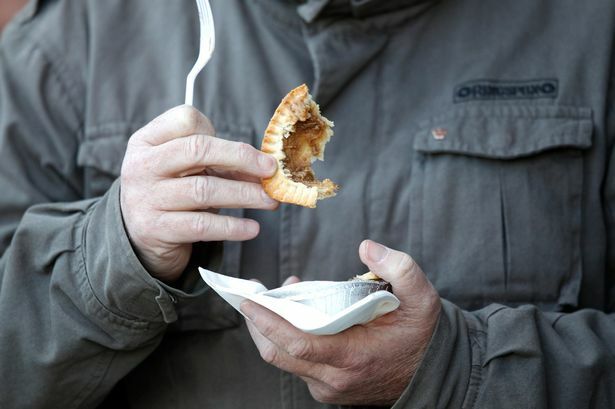 No prizes for guessing that the food of choice before a match in England is a nice meat pie. 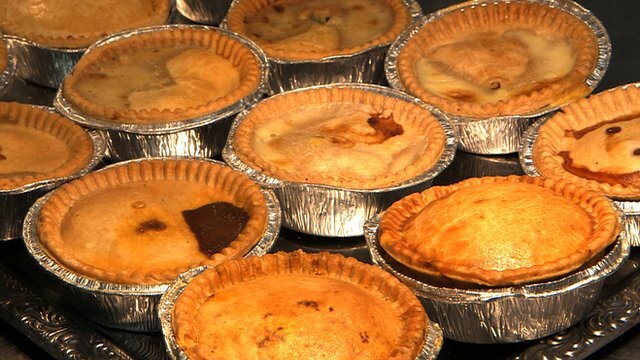 Although the pie game has seemingly gotten worse in England in recent years, with giant commercial entities mass producing and ruining the class British staple. But that said, a good steak and kidney pie made with puff pastry, beef dripping, nice generous chunks of beef, ox kidney, onions, mushrooms, carrots and a few other tasty ingredients is still a good way to prepare for an afternoon of beer drinking and questioning whether or not the referee is a wanker. 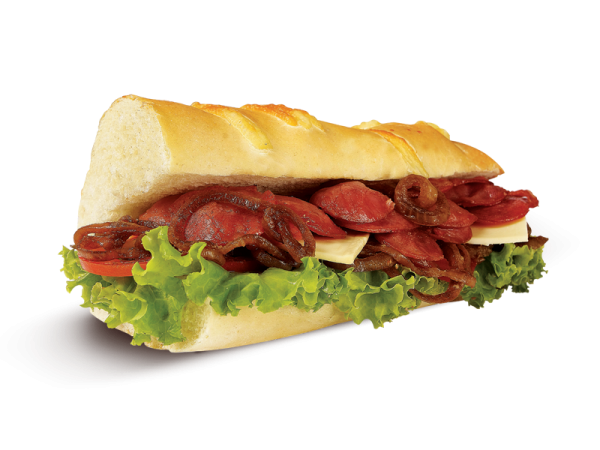 One of the more popular snacks in around many Brazilian football grounds is sanduíche de calabresa which is basically a pepperoni sandwich. Now as much as I enjoy a bit of pepperoni on my pizza, I was a little disappointed when I learned this was the go to for Brazilian football fans because when I think of Brazilian food I generally get all weak in the knees picturing an obscene amount of barbequed meat arriving at my table at a churrascaria. 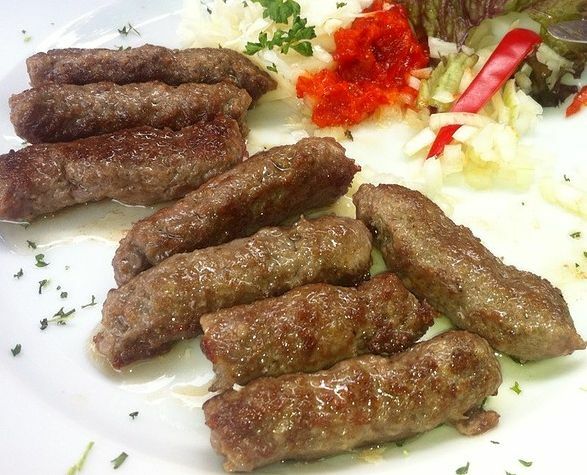 For football fans in Croatia one of the more popular dishes of choice before a match is the ćevapčići or chevaps a skinless sausage, usually made from mince pork and beef, along with garlic, onion, paprika and a few other choice ingredients. Although there are some variations it's often served with ajvar (roasted capsicum and eggplant relish), sour cream, lemon wedges and flat bread. Certainly beats a plate of salty nachos and process cheese sauce for $8 a plate doesn't it?